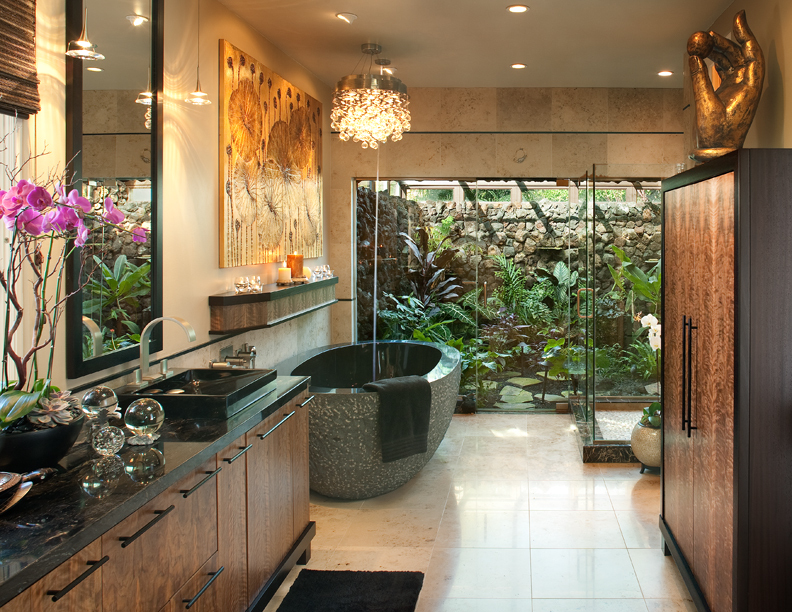 Designer Jim Walters brought the sensations of the Four Seasons Hualalia back to Rancho Santa Fe in another one of his award-winning bathrooms. 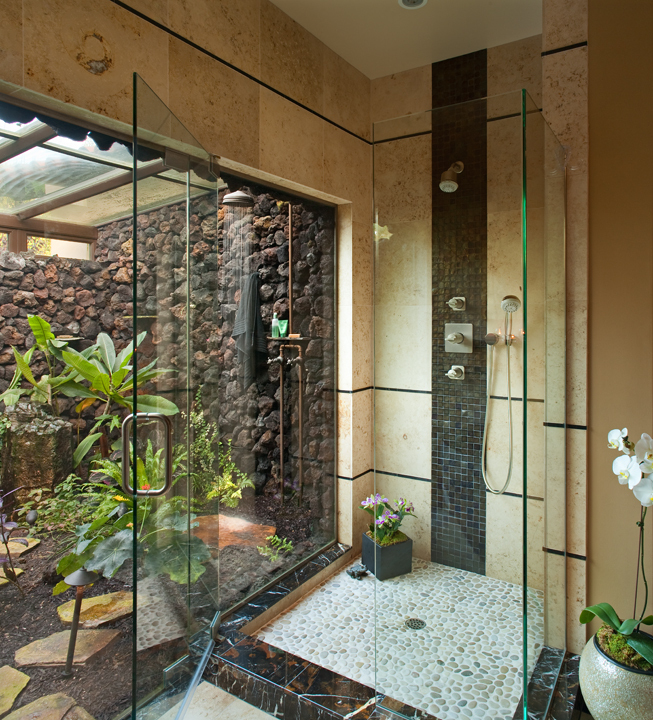 Colors and tile materials are reminiscent of white sand, sedimentary layering, obsidian lava, and beach pebbles. 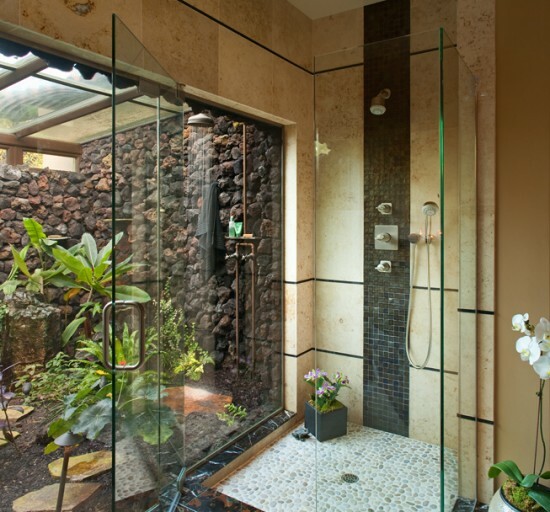 "Tiny tree frogs and colorful lizards frolic along a lava rock wall. Lush tropical foliage reaches toward the sun. 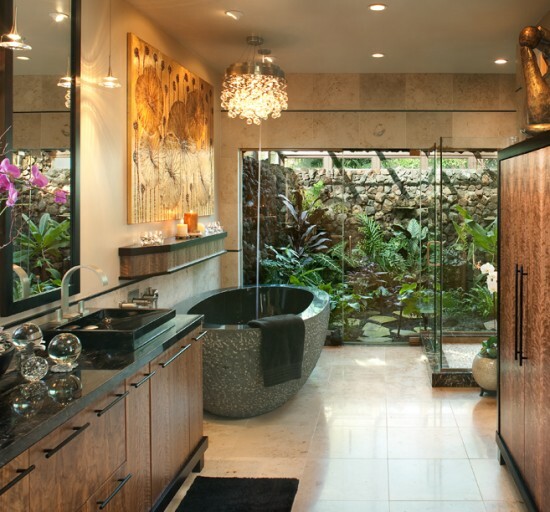 No, you're not on an island, you're in a client's bathroom suite in Rancho Santa Fe."